Gianni Infantino has been cleared of wrongdoing following a FIFA investigation into his expenses, recruitment and alleged sacking of whistleblowers. He took charge of soccer’s world governing body in February after the disgraced Sepp Blatter resigned. FIFA’s ethics committee found no “conflicts of interest” and no breaches of the organization’s ethics code. “The benefits enjoyed by Mr. Infantino were not considered improper,” it said. A leaked internal FIFA memo outlined a series of claims relating to 46-year-old Gianni Infantino. 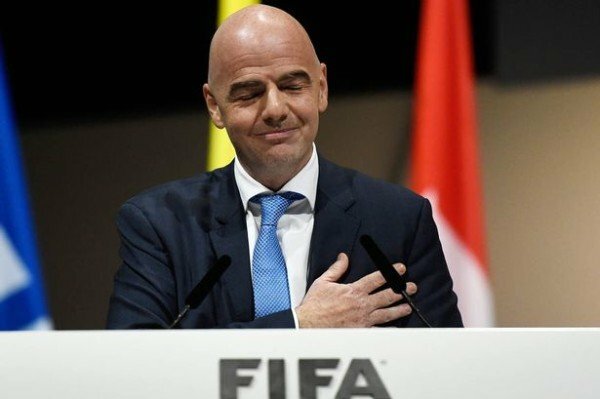 The claims were that he: left himself exposed to claims of a possible conflict of interest by using private jets laid on by a World Cup bidding country; filled senior posts without checking people’s eligibility for the role; billed FIFA for mattresses, flowers, a tuxedo, an exercise machine and personal laundry; demanded FIFA hire an external driver, who then billed the governing body for driving his family and advisors around while he was abroad.